Do you wish to experience every bit of Kolkata? Looking for ways to explore the rich cultural diversity of the City of Joy? Taking a momentous walking tour can be the ideal way to re-discover the glorious past and the developing present of the city. Kolkata, popularly known as the City of Joy, has something to offer to everyone visiting or living in this place. Each and every corner of the city has an interesting story to tell. And, nothing can be more fascinating than taking a walking tour to explore the city in style. Regardless of how knowledgeable you are as a tourist, you can discover various new facets of the city through these walks. Wondering why you should opt for an interesting walking tour in Kolkata? Read on. Located in the heart of Kolkata, the Dalhousie Square is a place which puts great historical architecture on full display. Opting for a British Era Heritage Walk can be the ideal way to see the colonial buildings which were developed by the then East India Company. You can spot some significant buildings like the Writers’ building, St. John’s Church, the Writer’s Building, the General Post Office and the Royal Exchange Place. Whenever you take walking tours in India, this is one aspect of Kolkata which will take anyone by surprise. By walking through the crowd bustling Sovabazar, you can learn a lot about the local culture and even be able to view some of the highlights of this city. Savouring local Bengali cuisine at any popular eatery is another element which you shouldn’t miss. From the delicious fish items to the lip-smacking sweets and other desserts, you can treat yourself to everything that comes to your mind. 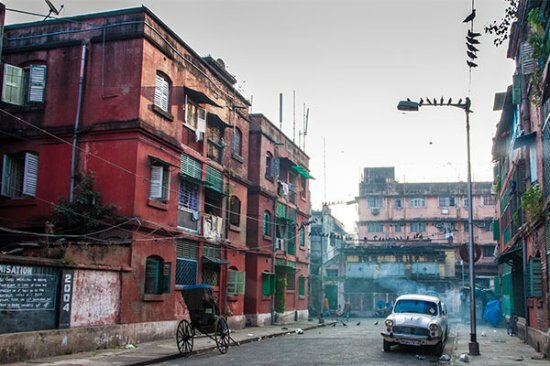 The journey from Bow Barracks to Burrabazar is one which would offer glimpses of both the magnificent past as well as the charismatic present in front of you. During this tour, you will get the chance to treat yourself to the super breakfast at the Tirreta Bazar. You can even visit the Christian Church which is by far the oldest existing church. To make the most of your tour, try having a scrumptious lunch at any Chinese restaurant. When you opt for walking tours in Kolkata, it will take you through Kumartuli, another highlight of the city. Kumartuli is a place which is best known for its skilled artisans. Blessed with magic in their hands, these artisans can craft beautiful idols from straw and clay. Tour experts will take you all around the place to how these artisans craft stunning idols. Now that you are completely aware of the various aspects which make Kolkata walk tours interesting, what are you still here for? Quickly opt for a momentous walking tour and start exploring the city’s beauty. Time to discover Kolkata like never before!